As the Northern Territory celebrates 40 years of self-governance, so too does the Multicultural Council of the NT. 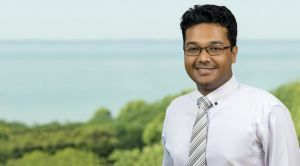 To mark the occasion, president of the MCNT and immigration lawyer and advocate Kevin Kadirgamar will give the Eric Johnston Lecture at the Northern Territory Library. His lecture is titled: ‘Multiculturalism and 40 years of self-government: Why cities need cultural diversity to thrive’. “I’ll use the lecture as an opportunity to speak from my own experiences of the importance of multiculturalism,” he says. While Darwin is a great example of a successful melting pot of cultural diversity, active steps need to be taken to highlight the success and necessity of multiculturalism. “We should not be too complacent, because we do live in an era where the idea of cultural diversity and migration are constantly being debated,” Kadirgamar explains. In early 2017 there were attempts to water-down legislation stating it’s unlawful to offend, threaten or intimidate anyone based on race. “Thanks to many voices from around Australia, those proposed changes never took effect,” Kadirgamar says. Kadirgamar, the 2018 NT Young Australian of the Year, came to Darwin from Sri Lanka at 14-years-old, and established Multicultural Youth NT to help provide youth leadership opportunities. He says he is humbled to be asked to present the prestigious Eric Johnston Lecture. Since its inception in 1986 The Eric Johnston Lecture invites prominent Territorians to share their insights on the NT’s people, social history and development.